Spacious living in Downtown Honolulu! Enjoy the convenience and quality lifestyle of Harbor Square located in the heart of Honolulu and hub of the newest restaurant trends in town. Treat yourself to morning coffee on the lanai as you take in the beautiful views from the mountains across the Honolulu Capitol district and spanning to the ocean. Ready to move-in and ready to entertain and if you want, open a home office. You'll love the tasteful renovations of this home including hardwood floors and granite counters. 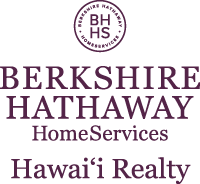 I am interested in 700 Richards Street UNIT 2304, Honolulu, HI 96813. Courtesy: Nathalie Mullinix R. U., Inc.
Sign up for Inside AccessTM to view recent sales near 700 Richards Street UNIT 2304.